Del Webb Mirehaven provides active adults with modern amenities in scenic Albuquerque, NM. Surrounded by sweeping views of the Sandia Mountains and Rio Grande Valley, the new Del Webb at Mirehaven is a sanctuary for active adults. Spread across 300 acres, this gated 55+ community in Albuquerque, New Mexico provides incredible mountain views in a private setting. Situated inside the master-planned Mirehaven community, it features all the Del Webb-style amenities active adults have come to know and love, from a state-of-the-art fitness center to a resort-style pool and spa. Upon completion, the neighborhood will offer 538 homes available in eight customizable styles. Homebuyers can choose from two distinct model series: the Retreat Series, which includes homes ranging in size from 1,572 to 2,035 square feet, or the Encore Series, which includes homes ranging from 2,017 to 2,504 square feet. All single-family residences are designed with active adults in mind, featuring single-story living and low-maintenance exteriors. Residents can take advantage of blue skies and sunshine by spending the day hiking or biking along the community’s six miles of onsite trails. The climate is ideal for spending time outdoors and focusing on wellness, whether residents spend the day on the tennis courts or enter a pickleball tournament. After some exercise, they can unwind at the pool and spa, which includes a luxurious outdoor patio space. Homebuyers seeking a vibrant atmosphere will feel right at home here. A dedicated lifestyle director keeps the social calendar full, from organized trips and activities to larger-scale gatherings. At the heart of this age-restricted community is a 10,000-square-foot recreation center where residents can socialize with friends and neighbors, take a dip in the pool, or partake in various activities and classes. Del Webb at Mirehaven is also home to an outdoor great room and meeting rooms, allowing residents to savor the sunshine while catching up with friends. History buffs will appreciate the community’s proximity to the historic Petroglyph National Monument, a 7,244-acre monument that protects one of North America’s largest petroglyph sites. Residents find it easy to stay connected to the local community—the neighborhood is next to an outdoor recreation complex that includes a 7,000-seat football stadium, sports courts, and track and field facility. Homeowners are also close to the historic downtown district and fantastic shopping at the Coronado Mall, ABQ Uptown, and Nob Hill, the upscale area known for its high-end shopping, swanky restaurants, and vibrant nightlife. With quick access to Interstate 40, public bus transportation, and the NM Rail Runner, active adults can spend the day sightseeing, exploring, and enjoying all the sights and sounds of the desert. 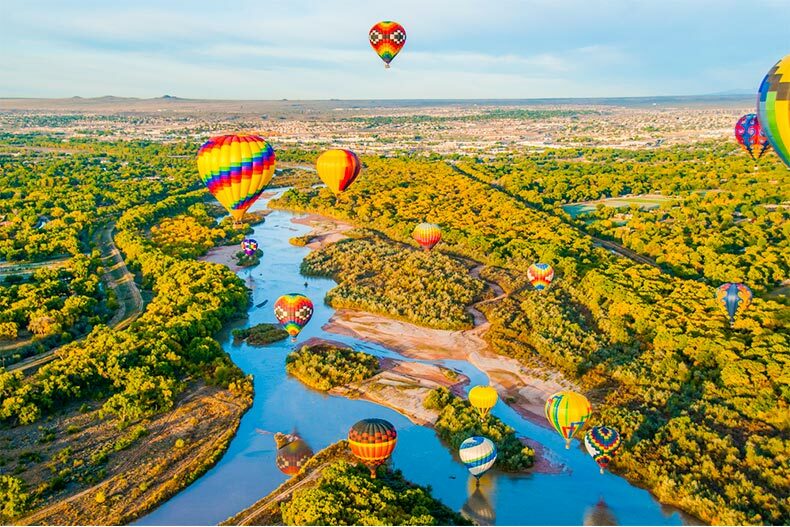 And for active adults who enjoy traveling out of the state or country, the community provides easy access to Albuquerque International Sunport, a public airport just three miles outside of downtown Albuquerque. Whatever active adults find interesting, Del Webb at Mirehaven makes it easy and enjoyable for them to pursue their passions and make new friends along the way. With an abundance of world-class amenities and recreation opportunities, it’s no wonder retirees flock to this spectacular 55+ community in northern New Mexico.